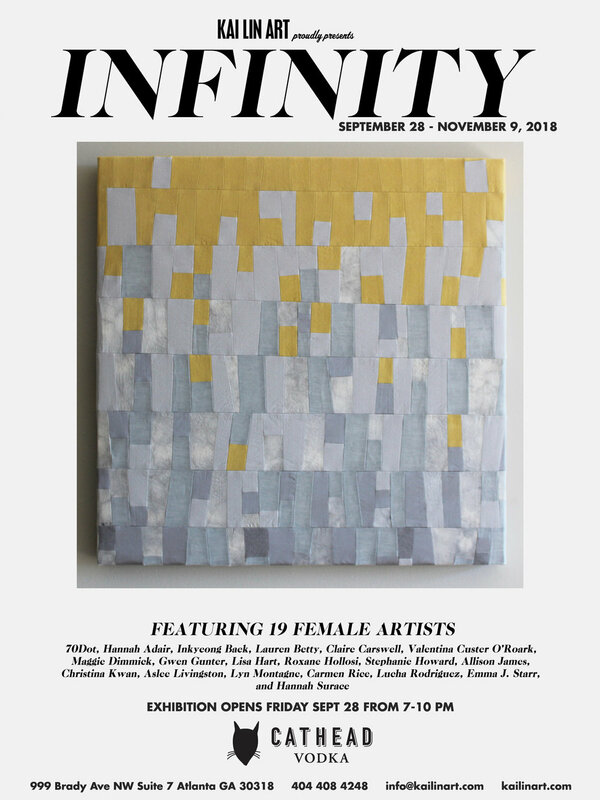 INFINITY September 28th- November 9th, 2018 | Kai Lin Art is pleased to announce our exhibition: INFINITY. 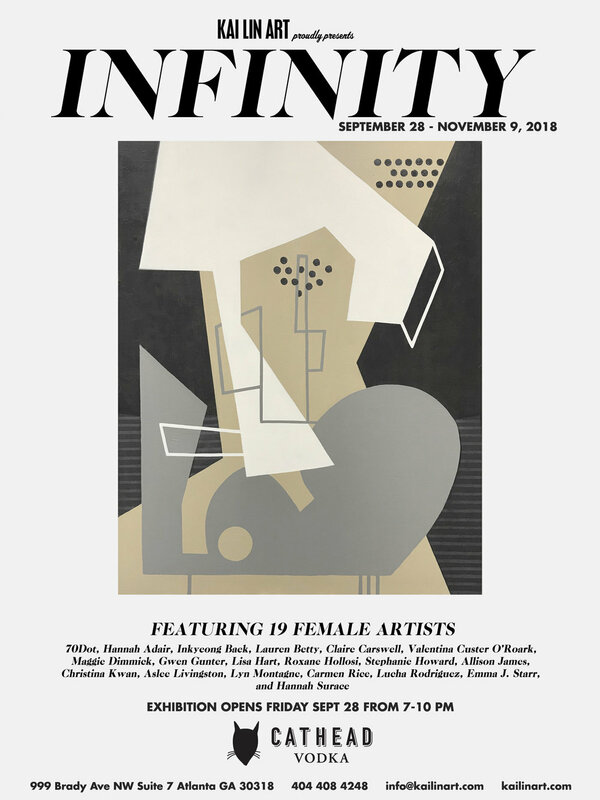 This exhibition is a curated group show of nineteen female artists working in a range of styles and mediums. 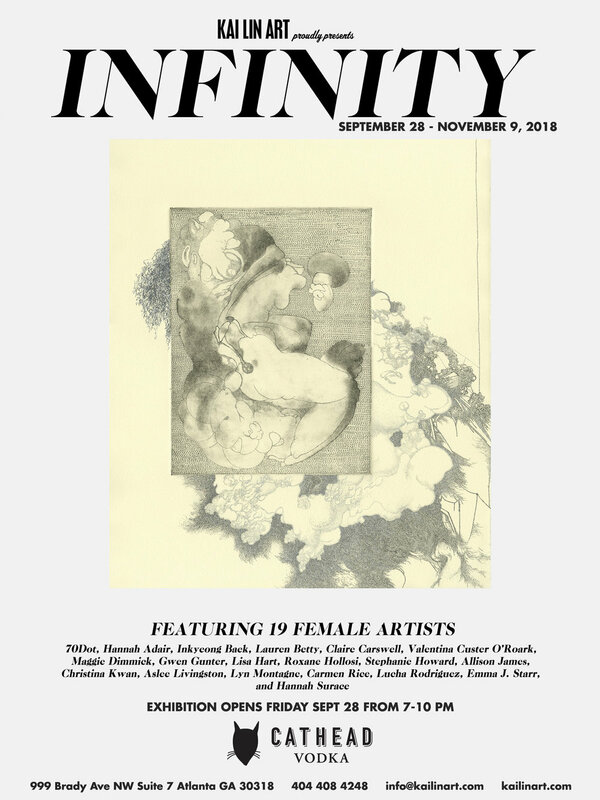 In continuation of our core values of inclusion and equal representation, Kai Lin Art has invited several new and returning voices to the gallery in a effort to represent an often-minimized perspective within the art community and at large. 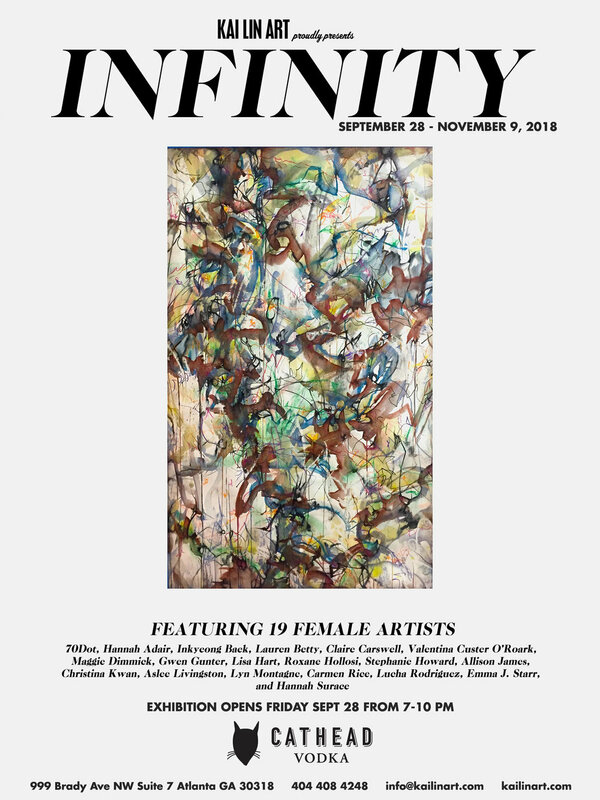 The styles and subjects of artworks in INFINITY range from playful interpretations of architecture to abstraction of the natural world. Other works focus around explorations of the mind’s psychological tendencies and obsessions. Techniques and materials range from painting and printmaking to textile design and interdisciplinary practices. 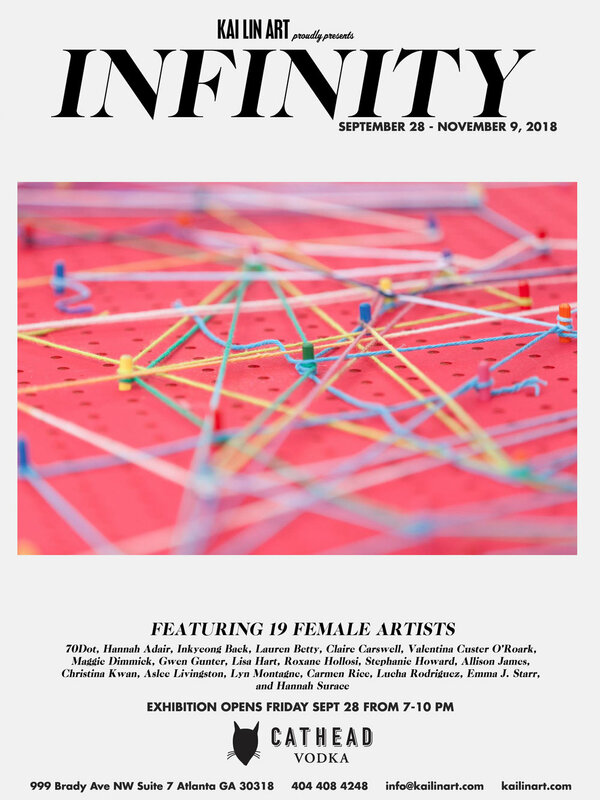 featuring the work of : 70Dot, Hannah Adair, Inkyeong Baek, Lauren Betty, Claire Carswell, Valentina Custer O’Roark, Maggie Dimmick, Gwen Gunter, Lisa Hart, Roxane Hollosi, Stephanie Howard, Allison James, Christina Kwan, Aslee Livingston, Lyn Montagne, Carmen Rice, Lucha Rodriguez, Emma J. Starr, and Hannah Surace.